Oh, yes. After years of pilffering Asian television for food shows (much to our delight), there is a new Nail show in town! Pitched by Nailympics competition creator Lysa Comfort, seasoned and newbie nail artists compete for a prize of $100K and instant notoriety. Who said nail art was dead? No word on if it will be as crazy as the Japanese counterpart, though. As the nail world is on the small side, it’s going to be fun watching contestants, most of them familiar. While the talent is pretty strong across the board, I’m really looking forward to seeing work by Classic Mully and Lauren Wireman. Crystal Culture, the Swarovski backed international nail design team, has just released a limited edition of crystal sets called “Bling for a Cause.” Four designs in total, the low-profile, authentic crystals come two to a kit and can be applied by a manicurist in salon for the longest lasting wear (4-6 weeks) or for the DIYer can be done at home. Beautiful and meaningful! Each design can be saved to be used again and again. I’m personally very excited about these kits and how quickly Crystal Culture responded to the requests. I’m looking forward to teal nails, myself! Nail professionals, if you would like to add these to your service menus, please contact me for that pricing. Bling it on! materials in a wide array of colors. Each piece is handcrafted in Colombia by local artisans. Personalize your Hanky Panky intimate apparel collection with crystal initials free of charge with your purchase. View the fall collection from this Italian design house known for their luxuriously relaxed style. 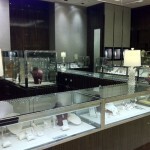 We have assembled an exciting array of trunk shows in our newly remodeled jewelry area. Join us as we present some of jewelry hottest designer collections and creations. Steven is known for his classic signature style of innovative two tone creations. Catherine brings her collection straight from LA but her edgy, chic designs are perfect for Chicago fashion style. Sharon’s “wearable art” fuses color with style. View the collection of sleek, sophisticated and graceful designs. The Yurman collection continues to evolve with many new designs. Check out the latest in the beautiful new instore shop. 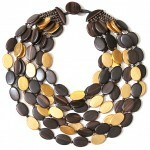 NM offers the most extensive collection of Ippolita in the new specialty boutique. View Gurhan’s signature style of using mixed metals. 3D printing has offered some mind blowing creativity options, including wearable footwear and guns that actually shoot, but now the technology has rifled the runway. Enter the 3D manicure, courtesy of The Laser Girls. Currently on display at the Museum of Art and Design in New York, these bold statements are attached via adhesive, and have adorned the hands of top nail fanatics (think Beyonce, Rihanna and Katy Perry) as well as shown at several fashion shows. Because styles can get as colorful and ornate as one likes, there is almost no limit to creation. Is this type of nail art up your alley? What would your 3D nail style be? Much to my delight, Neiman Marcus on Michigan Avenue is flying in the face of the groundhog, and filling the store with spring delights. 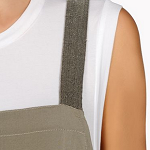 Cushinie et Ochs, Isabel Marant, Christopher Kane, Erdem, Giambatista Valli and Acne Studios are among the new designers in house. 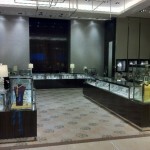 The renovations continue, and this phase welcomes the new look for the Precious Jewels Salon. Enjoy the one-of-a-kind pieces that can only be found here, as well as collections from Forevermark, Boucheron, Roberto Coin, Coomi, K. Bruinini, Elizabeth Locke, Marco Bicego, Staurino and Michael Johns. 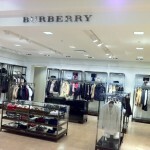 Plus, there is a new Burberry Shop! The third floor location features both London and Brit Collections. Don’t miss the chance to enjoy a few of the events coming up. Preparing for spring will be as much fun as seeing the arrival. Known for his jewel like shoes, Rena Caovilla creates elegant sculptural shoes that are considered wearable works of art. Join us as we preview the spring trunk show along with ten exclusive styles to celebrate the 80th anniversary of his shoe collection. View an extensive assortment of the lush and luxurious collection known for its relaxed ease of dressing. Please join us for a look at the spring trunk show collections from top designers Manolo Blahnik, Christian Louboutin and Valentino. We are pleased to welcome Margo for her first trunk show in store. Margo’s jewelry designs are elegant, feminine and always in style. Her signature necklaces have earned a celebrity following from Julia Roberts, Blake Lively and Gwyneth Paltrow among others. View the new collection from Loro Piana including women’s men’s and accessories. In addition, we will be carrying a special fur trunk show during this event. Join us in CUSP to view the latest collections from Alexander Wang, Rag & bone, Carven, 10 Crosby and more. Receive a rose golden cuff with any $300 CUSP purchase. Enjoy refreshments and informal modeling. View Viktoria’s collection of bold bracelets, necklaces and earrings comprised of natural elements such as wood, stone, coral, shell, horn and more. preview their spring collection in the newly remodeled shop. Be styled by our specialists and have your photo taken in a great Tahari look. Receive a Tahari canvas tote bag with any qualified Tahari purchase.